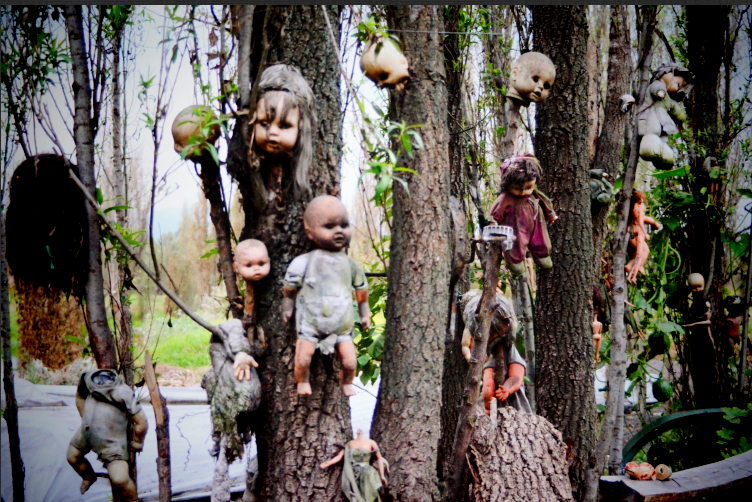 Forget monsters hiding under your bed or possessed clowns with bloody curdling laughs, and start thinking of half dismembered children’s dolls hanging like sacrifices from tree branches on a deserted island on the outskirts of Mexico. Welcome to the Isla De Las Munecas and your worst childhood nightmare. Formally a shrine to a young girl who mysteriously lost her life in one of the islands many canals, this island of dolls was a morbid creation by lone inhabitant Don Julian Santana to rid himself of the child spirit that haunted him. Barbies, babies and broken body parts lie astrewn throughout the island; lolling heads, wandering eyes and eerie misfit toys mark a sinister cry for help from this lone islander who died alone, surrounded by his mecca of dolls in 2001. 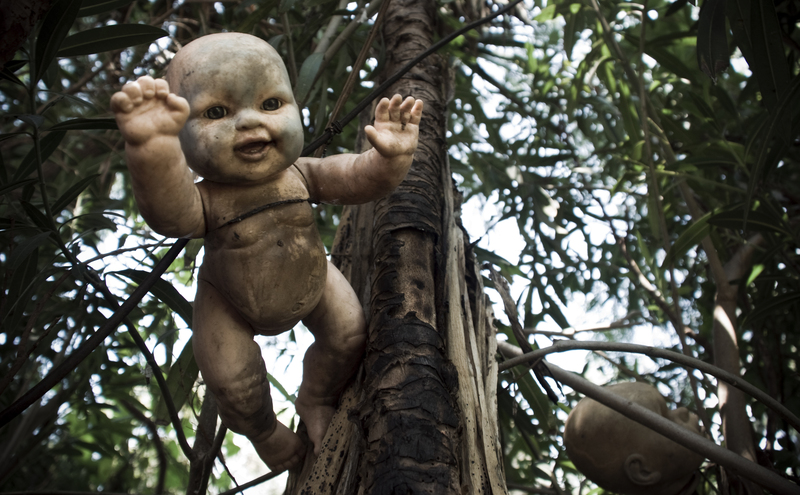 You can take a boat and visit to see the collection for yourself or you can rest assured that the haunted dolls will forever stay out of sight and out of mind on an abandoned and overgrown isle a little south of Mexico City. The ultimate Christian pilgrim destination? The omniscient omnipotent power of the cross? 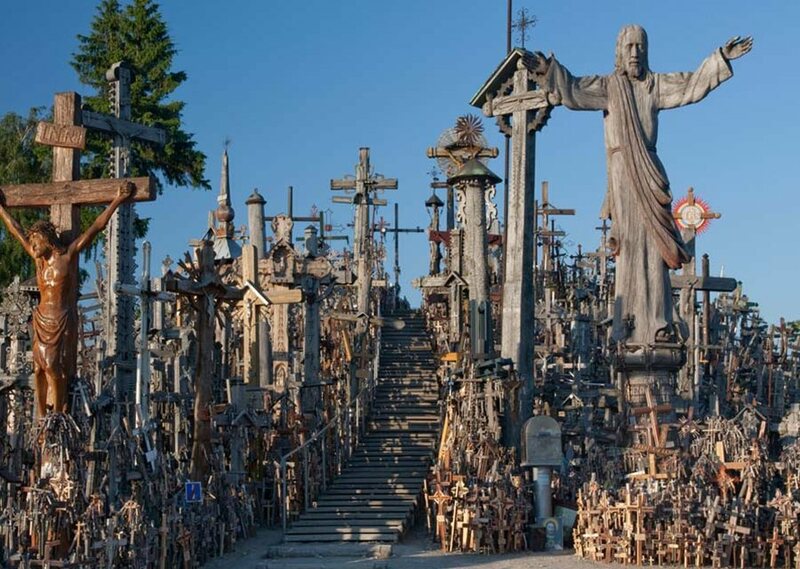 Whatever your belief or opinion, The Hill of Crosses would quieten the most revered of souls. 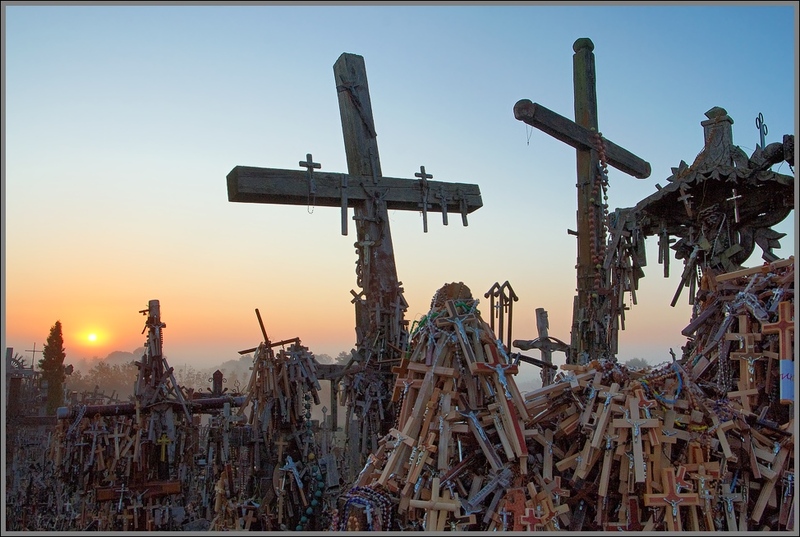 A testament to the power of human belief, this hill, outside the city of Siauliai, Lithuania is a national pilgrimage centre. Attempts to destroy it have been mounted by many and succeeded by few. Hundreds of thousands of crosses made from a multitude of materials in an array of sizes all lie haphazardly strewn together as far as the eye can see. Known as the “Sea of Trees” deep in the depths of Mt Fuji, Japan, this forest has the macabre title of being the worlds second most famous suicide spot. Supposedly haunted by evil spirits from Japanese folklore, the “Sea of Trees” has been frequented by many wishing to end their life since the 1950’s. There are only three conceivable reasons why you would wander into this remote and dense forest. Either your a trekker keen on exploring unknown regions, or you have a morbid sense of interest in why the forest is infamous. Or ultimately you have chosen the Aokigahara Forest as your resting place. 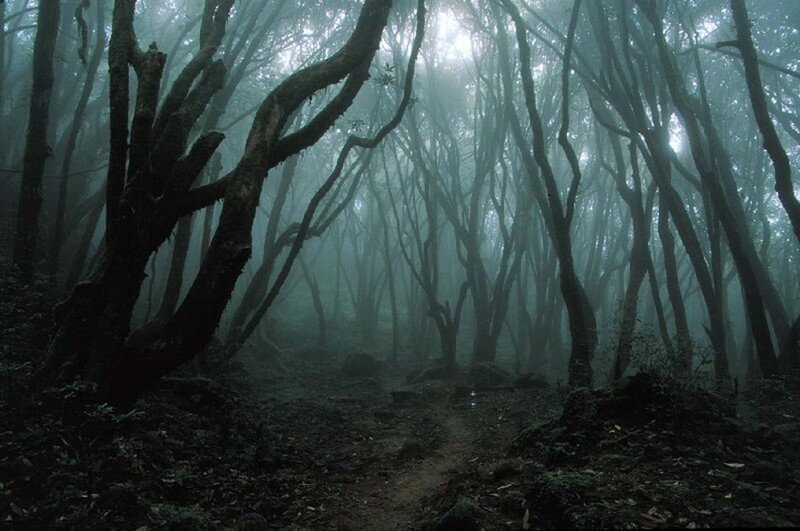 Haunted or not this “sea of trees” would not be on my top list to visit on Halloween or indeed any other date…ever.